Lorcan Tucker has been named among eight uncapped (in Tests) players in Ireland's 15-man squad for the Test match against Afghanistan in March along with Pembroke club-mate Barry McCarthy and The Hills all-rounder Simi Singh. With Ed Joyce and Niall O'Brien retiring, and stalwart Gary Wilson unavailable after undergoing treatment for an eye problem, the team that play Ireland's first away Test was always going to feature changes from the XI that took on Pakistan in Malahide last summer. 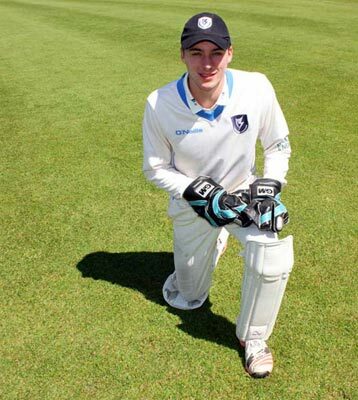 The selectors have turned to 22-year-old wicketkeeper-batsman Tucker after his stand-out performances for Ireland Wolves in Sri Lanka with a place in all four squads that were announced yesterday. Stuart Poynter is next in line for the gloves though, while Tucker's fellow Wolves star James McCollum, 23, has been earmarked to open the batting and left-arm spinner James Cameron-Dow is also in line for a first cap. Merrion all-rounder Tyrone Kane hasn't been included in any of the squads, as he's still recuperating from an injury which forced his early return from club cricket in Australia and forced his withdrawal from the ongoing Wolves tour of Sri Lanka.